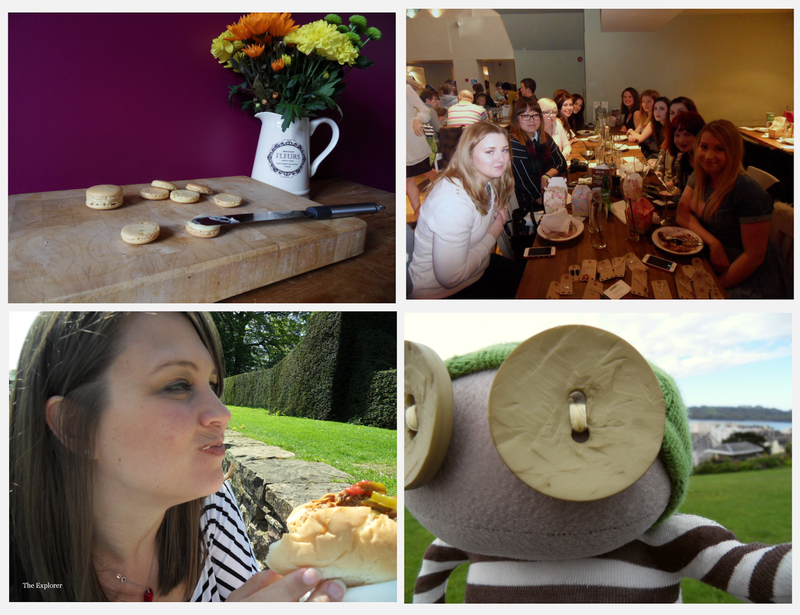 It is The Explorer's 1 Year blogiversary today! I could do the "I've learnt so much about myself in this last year" but that would be pointless as that is the entire premise of the whole blog and in many ways I have come to realise that after a certain point learning things about yourself changes. You learn about what happens with life when you feel a certain way, behave a certain way, and think a certain way. I have come to wonder whether life is more about learning to adapt and to change rather than about learning about yourself. Is learning about ourselves too rigid of a way of looking at it, and are we not always questioning how we are as a person on what is happening to us at that particular time? Life has moved on in the last year, perhaps not in the way I had hoped, and maybe at a slower pace. It hasn't been an easy year for The Explorer household. Things have been tough. But we were, and still are, working through all of the hard stuff. And, most importantly, we are still here, still holding on - even if perhaps a little battered around the edges. Starting this blog was a whim, I didn't have a clue about the community behind blogs and I had no idea it would lead me to meet new people. This blog was started because I realised what an amazing thing it would be to be able to look back on my years and been thrown full throttle into the most vivid memories. So, with that in mind I want to do a best bits. 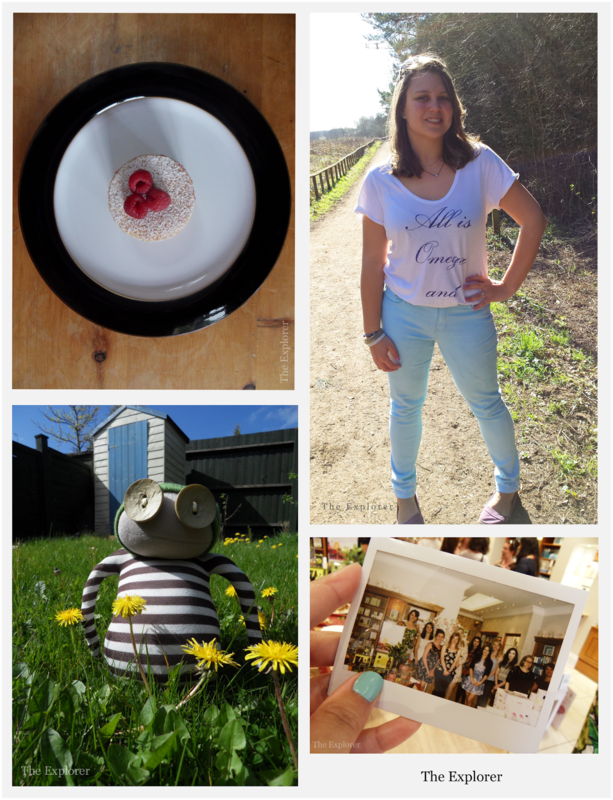 My favourite moments of the last year and of my blog so far. In Clockwise Order: One of the best bakes I've ever created, My favourite First Time Read of the last year, No.6 of The September Photo Challenge: Coming Change (this photo was taken at a very poignant moment in time), The Pie without the guilt, British Strawberry munching in a very British place, Introducing my favourite bookshop in the Peak District, and finally: playing with this little ball of cute......so damned cute! 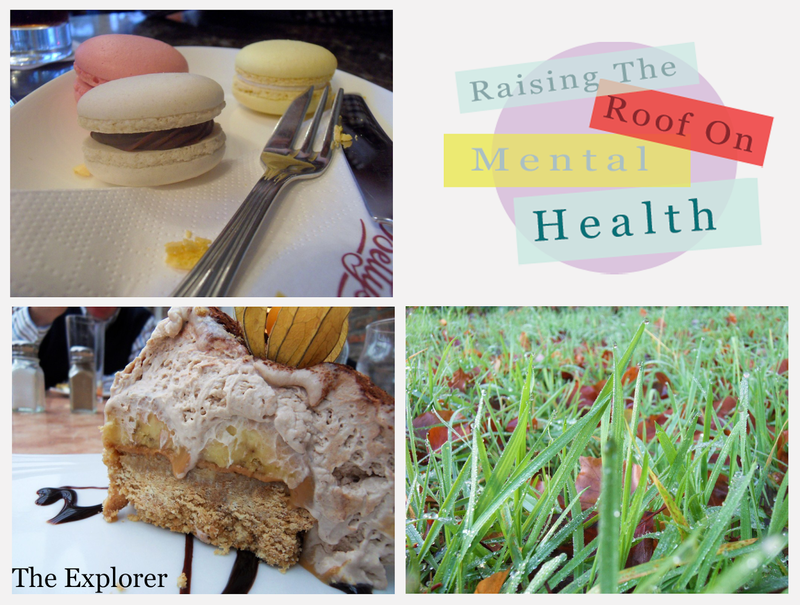 Clockwise From top left: Tea at Betty's with proper Macarons and the best flavour I have tasted yet, My Series on Raising Mental Health Awareness, THIS dessert at my first visit to my now favourite Italian, Beautiful Autumn dew on beautiful Autumn grass. 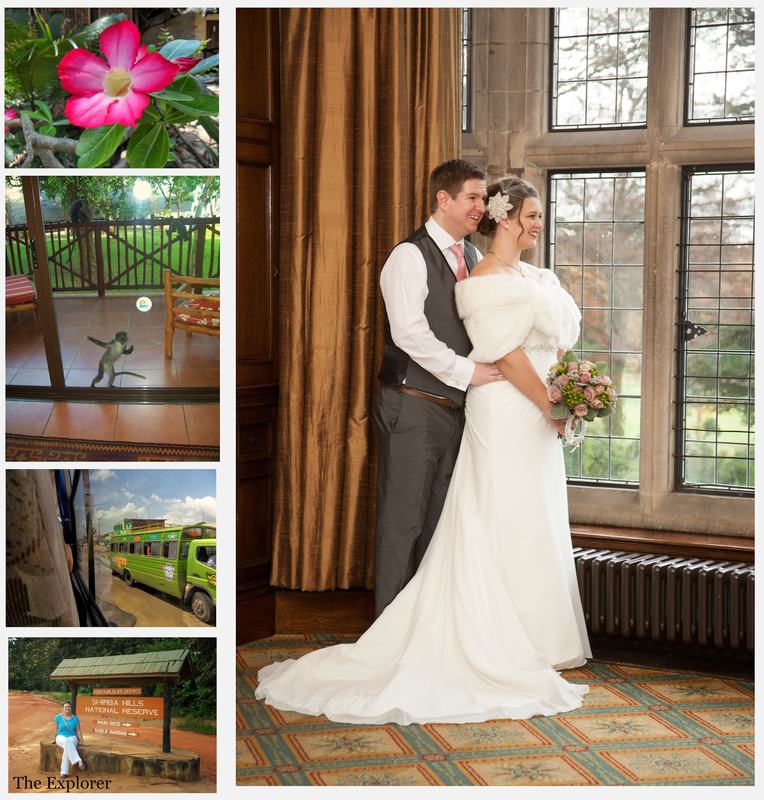 Clockwise from the Right: The best day of my life so far, Seeing wild animals in their natural home on the honeymoon, Little monkey's that stole our welcome biscuits, Ridiculously gorgeous flowers in a great hotel. Clockwise from top left: The recipe that achieved Blogger of the Week status, The perfection of Nothing Days, Catching up with these lovely ladies at this event, Starting a new adventure. 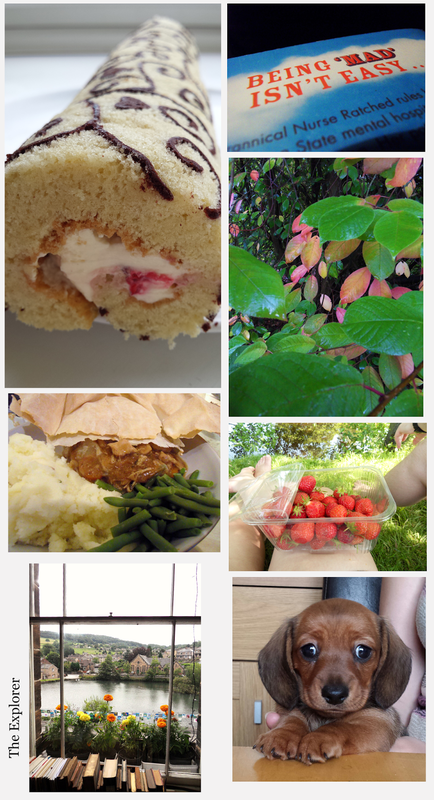 Clockwise from top right: Attending my first bloggers meet and nervously nattering everyone into conversation, Taking Daisy to the seaside, Losing my street food virginity to the best damned sandwich ever, My first recipe for EatTasteCook. I have been incredibly lucky to have gained so much in a year, I am determined to make next year even better. There are big changes on the horizon and I can't wait for them to happen! Thank you to everyone who has supported my blog so far; it means the absolute world to me that you take the time to read this little blog! CONGRATULATIONS!!! One year already! Here's to many more!